This china doll head was excavated in 1966 at Fort Hays in Ellis County. China doll heads are described by their hair style. 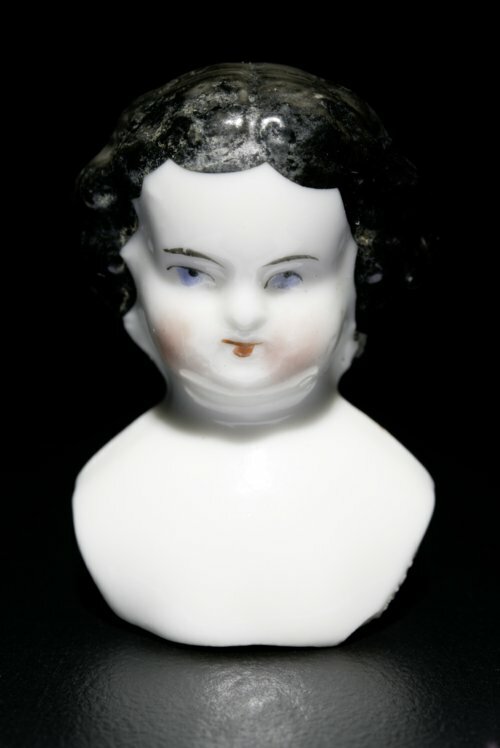 This doll, with her center parted hair and comb marks on the side most resembles those of the 1850s and 1860s. Fort Hays was added to the National Register of Historic Places in 1971.